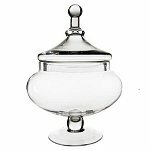 This Glass Rose Bowl is 5-1/2 inches in size and holds all your colorful and shaped bulk candies. Clearly viewed through the glass sides, you can let your customers shop with their eyes before they fill up their shopping bags. 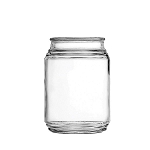 Glass containers are highly popular at weddings and other such events. Round glass jars can design your perfect candy buffet, as well as unique and creative centerpieces. 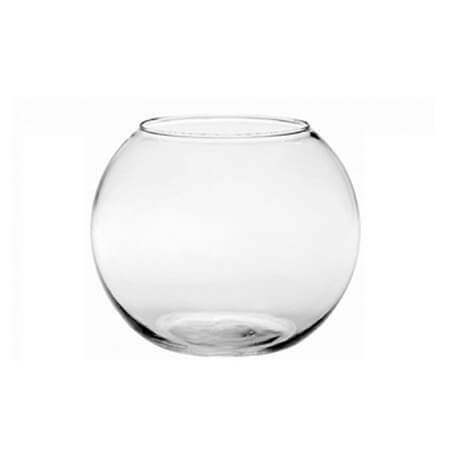 Each bowl has a 3-1/4 inch opening and is a good choice for organizing your office, home, and shop. No matter what you place inside, you can clearly see with a glance where everything is. Compose individualized gift bowls for birthdays, holidays, events or just to say how much others mean to you. Order yours today!